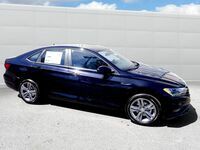 The best-selling Volkswagen in America, the Jetta, is one of the most affordable German-engineered sedans in America. Designed for any lifestyle, the 2018 Volkswagen Jetta is made with you in mind. Featuring exceptional gas-mileage, a plethora of amenities, and plenty of space for comfort, the 2018 Volkswagen Jetta gives you more for your money. The 2018 Volkswagen Jetta features three engine options: a 1.4L inline four cylinder, a 1.8L inline four cylinder, and a new 2.0L inline four cylinder. The first model, on the standard Jetta 1.4T, has a peak horsepower of 150 and a torque of 184 lb-ft. The second model, found on the Jetta 1.8T, increases the horsepower to 170 but features the same torque output. The final model, a 2.0L inline four cylinder on the Jetta GLI, has a peak horsepower of 210 and a maximum torque of 207 lb-ft. 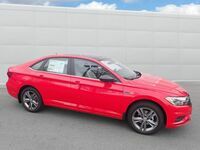 The mileage of the engines varies with the Jetta 1.4T getting 28 mpg in the city and 40 mpg on the highway, and the Jetta 1.8T and GLI getting 24 mpg in the city and 27 33 mpg on the highway. 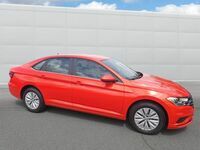 The 2018 Volkswagen Jetta also features Volkswagen Car-Net, a system designed to improve connectivity between occupants and the vehicle. This feature also comes with a large number of available safety sub-features that bring control of the vehicle to your phone, making remote control of the vehicle possible. The 2018 Volkswagen Jetta has a very spacious interior that features a very impressive legroom which, combined with a gently-arched roofline, makes for a very comfortable trip. There is also a large 15.5 cubic feet trunk, making it a great vehicle for long journeys and trips. One of the standard features of the Jetta line is the MIB II infotainment system, which works with Car-Net to provide one of the most comprehensive suites of connected services and features available in today's market. 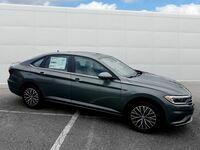 The spacious cabin, list of safety features, and amazing infotainment systems are all part of what makes the 2018 Volkswagen Jetta the best-selling Volkswagen in America. Contact us at Dirito Brothers Volkswagen to schedule your test drive today!